If you took a look inside of your garage and saw that it needs some extra storage space, then look no further than these clever DIY garage storage ideas. Best of all, these DIY storage projects fit perfectly into a small budget. A wall pegboard has been a storage staple in many garages over the decades. 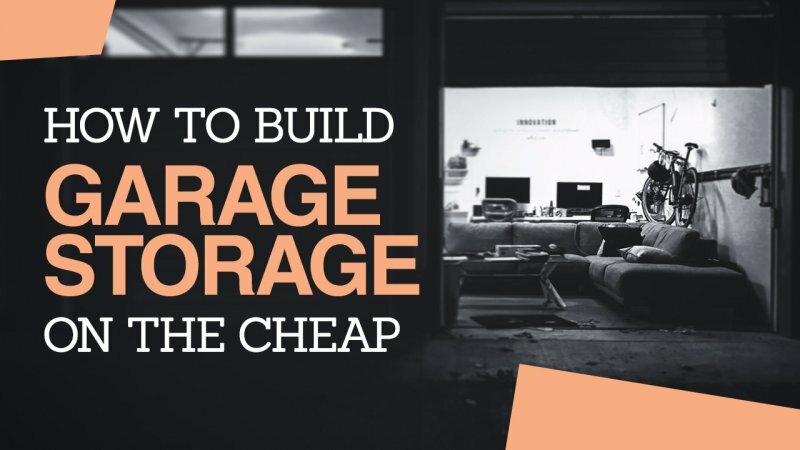 It is the first go-to type of storage because it is highly versatile, easy to install, and very inexpensive. To create your DIY wall pegboard storage area, simply go to the local home hardware store and purchase some sheets of pegboard. You will also need some hooks, wall mounting brackets, and any other accessories that may grab your eye. Pegboard wall storage units are so versatile that you can create smaller sets of storage units on the pegboard. Simply purchase some tiny metal baskets and attach them onto the pegboard using hooks. These baskets can act as miniature storage bins for smaller items. Your imagination is the limit when it comes to how efficiently and cleverly you take advantage of your pegboard’s storage capabilities. For the fervent craftsman and repairman, there are sure to be many cordless tools strewn haphazardly about any flat surface available in the garage. Not only can this prove to be annoying when you’re unable to find a tool when you need it, but it can also prove to be an expensive habit if your tools were to fall and break. This sort of haphazard storage of cordless tools can also cause you to lose track of the rechargeable batteries. A clever and stylish way to keep all of your cordless tools and parts in one area would be to build a cordless tool wooden station that mounts on your wall. This is a simple DIY craft that requires wood, nails, and screws. This cordless tool station will not only provide shelving for cordless batteries and chargers but will also provide little docking nooks that will securely hold your cordless drills while they’re not in use. The usefulness of extra shelf storage cannot be overstated when it comes to garage organization and efficiency. Should you find a rather barren and spacious wall in your garage, spend a weekend and a few dollars to build a 10′ tall shelf that acts as a large storage area. A crafting project of this magnitude requires a lot of time, patience, and labor, but the result will be well worth it. 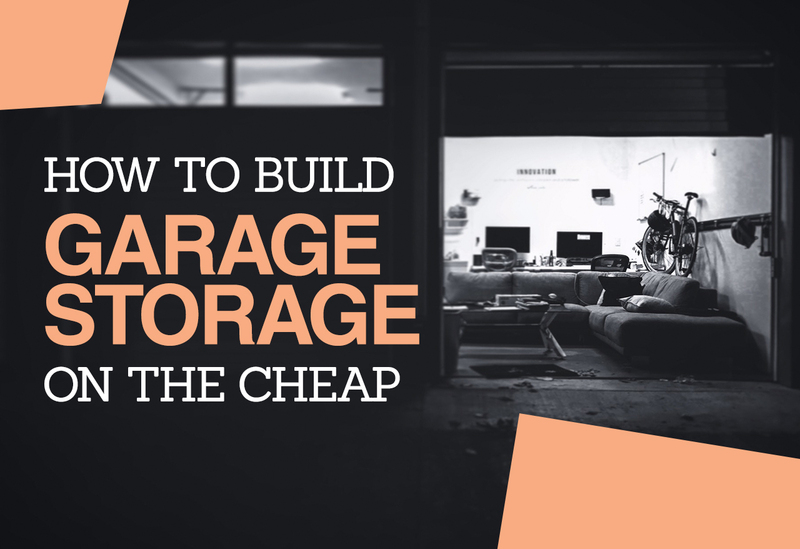 This would also be a very inexpensive type of storage unit that is versatile enough to store virtually any items within your garage. If your metal tools are taking up space in your garage or your toolbox is just too disorganized, then you should consider creating a magnetic tool hanger. Using a bar magnet, sheet metal, wood screws, and various other tools, you can create a clever solution to metal tool storage that also grants easy access. These magnetic tool hangers can be attached to any existing shelf or cabinet for a convenient way to store and organize your metal tools. If you look around your garage and find it still too cluttered, consider renting a small storage space for your infrequently used items. Cheap Movers Kansas City helps you find cheap storage services from some of the top-rated moving and storage companies in KC. Contact us for a free quote!